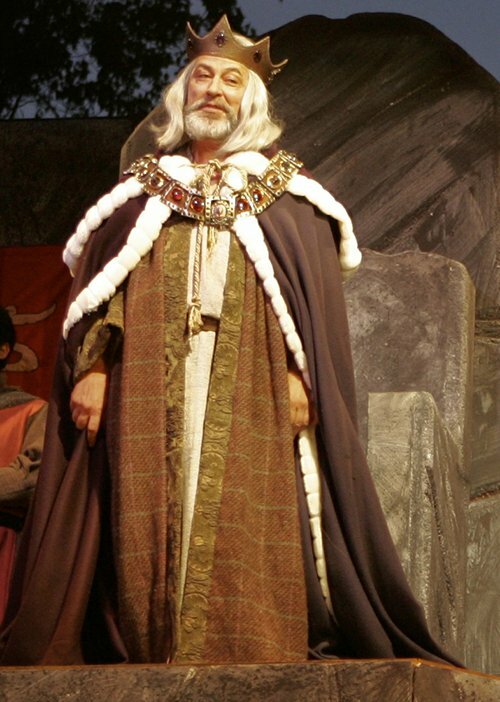 An integral part of the Kingsmen Shakespeare Company, John Slade acted in many of the festival’s plays, including the title role in “King Lear” in 2007. (THOUSAND OAKS, Calif. – July 11, 2017) The Kingsmen Shakespeare Company is mourning the unexpected death of John Slade, who was directing this summer’s production of “Julius Caesar,” but the show will go on with the festival’s founder stepping in to bring his colleague’s vision to the stage. Slade died Friday from injuries he sustained in a car accident. The crash occurred Thursday night as he was driving from rehearsal to his home in Ojai. Michael J. Arndt, founder and artistic director of the Kingsmen Shakespeare Festival, stepped in Saturday to direct “Julius Caesar,” which opens July 21. He is working with associate artistic director Brett Elliott, who is playing Marc Antony, and Jason D. Rennie, who is portraying Cinna, to present the play as Slade intended.